Summary: The Lord has a long history of taking care of His Church. However, when troubles from without increase or when our own sins and guilt oppress us, we sometimes relegate His salvation to the past. Or we think that it’s still happening, just not for us. Yet even before we ask for forgiveness or favor, God answers. Because of Jesus’ sacrifice, divine wrath is already turned aside. We’re restored before we realize that we’ve done something to jeopardize our standing with Him. Of course, our restoration isn’t always what we want or think we need. The Lord may not take away all our trials, our pains, our losses. But even then, we know that we are precious to Him and that He will never leave us nor forsake us. We will receive complete restoration in the Resurrection, not to whatever we were on our best days of this life. No, our restoration is to the sinlessness of Eden, to the everlasting holiness that belongs to all the saints through life everlasting. Text: Lord, you were favorable to your land; you restored the fortunes of Jacob. You forgave the iniquity of your people; you covered all their sin. You withdrew all your wrath; you turned from your hot anger. 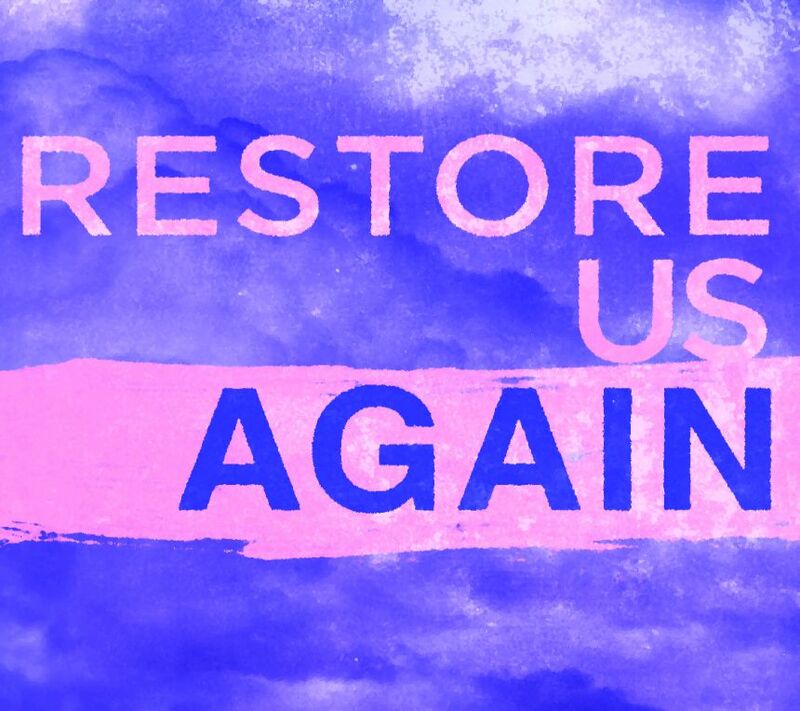 Restore us again, O God of our salvation, and put away your indignation toward us! Will you be angry with us forever? Will you prolong your anger to all generations? Will you not revive us again, that your people may rejoice in you? Show us your steadfast love, O Lord, and grant us your salvation. Let me hear what God the Lord will speak, for he will speak peace to his people, to his saints; but let them not turn back to folly. Surely his salvation is near to those who fear him, that glory may dwell in our land. Steadfast love and faithfulness meet; righteousness and peace kiss each other. Faithfulness springs up from the ground, and righteousness looks down from the sky.